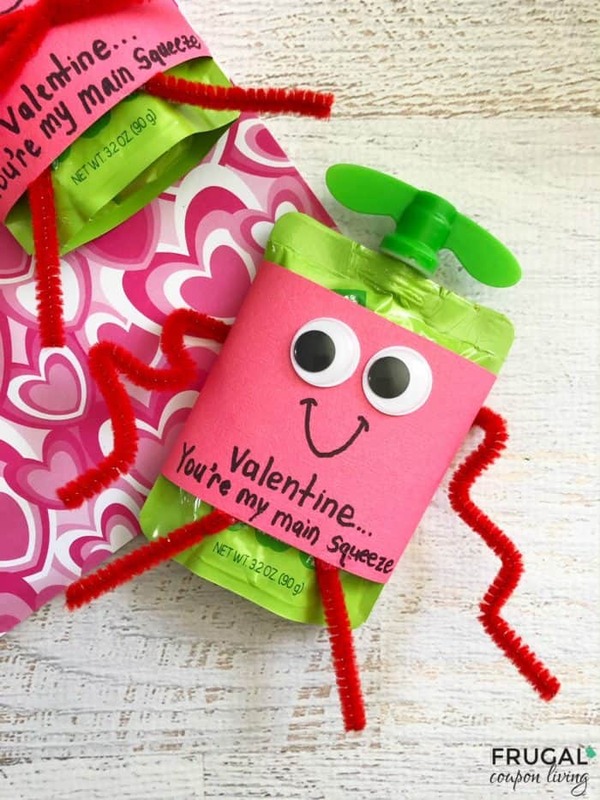 Create these adorable You’re My Main Squeeze Valentine Craft with GoGo Squeez applesauce on the go. Awesomesauce! Hey Valentine – You’re my main squeeze! Looking for a fun and creative craft for the kids? 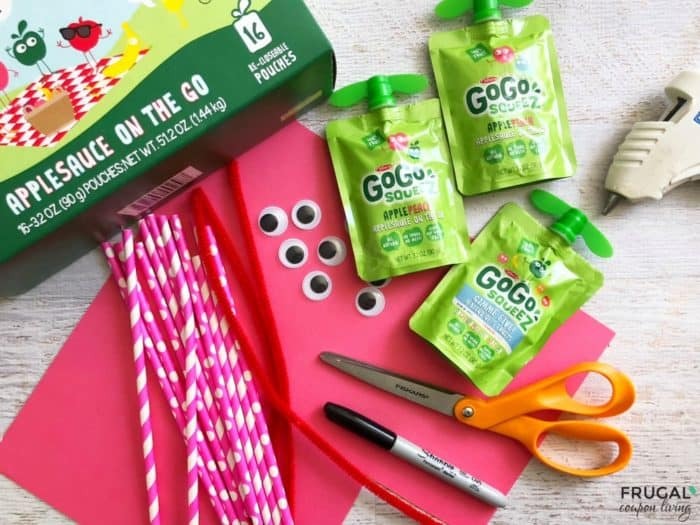 This is an adorable and healthy treat using the yummy GoGo Squeez Applesauce. They could make a fun weekend activity for your child and a unique valentine card for their classmates. We used some craft supplies we already had on hand in our craft kit, but most of the supplies are not very much making a frugal friendly expense for your Valentines. Awesomesauce! Cut a 4 x 9” piece of card stock, wrap it around a GoGo Squeez and secure in the back with hot glue. Glue a full red pipe cleaner horizontally to the back center of the paper and wrap the sides of the pipe cleaner around to the front for arms. Cut a pipe cleaner into 1/4” and glue two under the bottom paper wrap for legs. Glue two googly eyes to the top front of the card stock and draw a smile underneath. 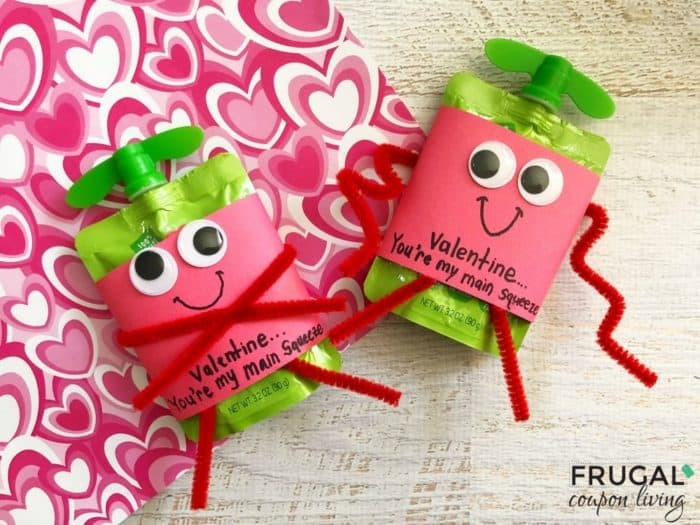 You might also enjoy these 28 Days of Kid’s Valentine’s Day Food Crafts. Pin to Pinterest. Also look at these creative Printable Valentines for the Kids. Pin to Pinterest.